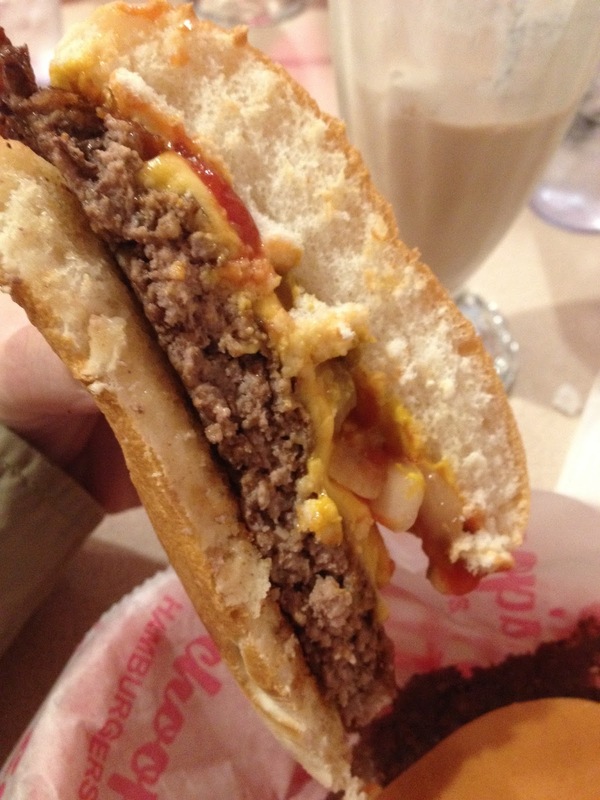 Schoop's is just one of those classic little joints that are synonymous with burgers. As a young kid, I often visited the one in Calumet City and have since been to several locations, most frequently the one in Munster, Indiana. One awesome thing about the place is that they have little jukeboxes at the booths and then a big one near the counter with an eclectic selection of music. 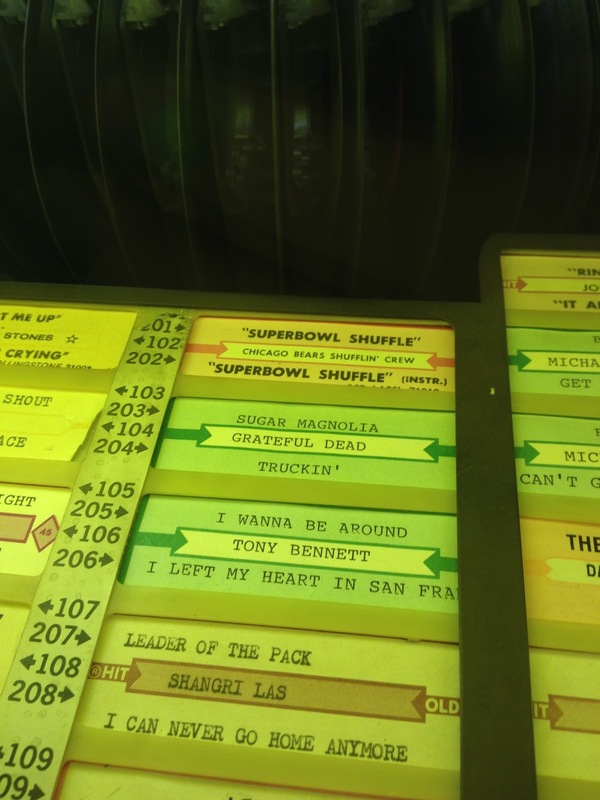 There are a few oldies (Tony Bennet, Johnny Cash, Beatles), a few throwbacks from the 70s and 80s (Michael Jackson, Grateful Dead) and even a few from this century (Christina Aguilera)...but the best single in that jukebox is the Super Bowl Shuffle by the Chicago Bears Shuffling' Crew. So, yeah, that's a really fun feature of the place...but let's get to the food. 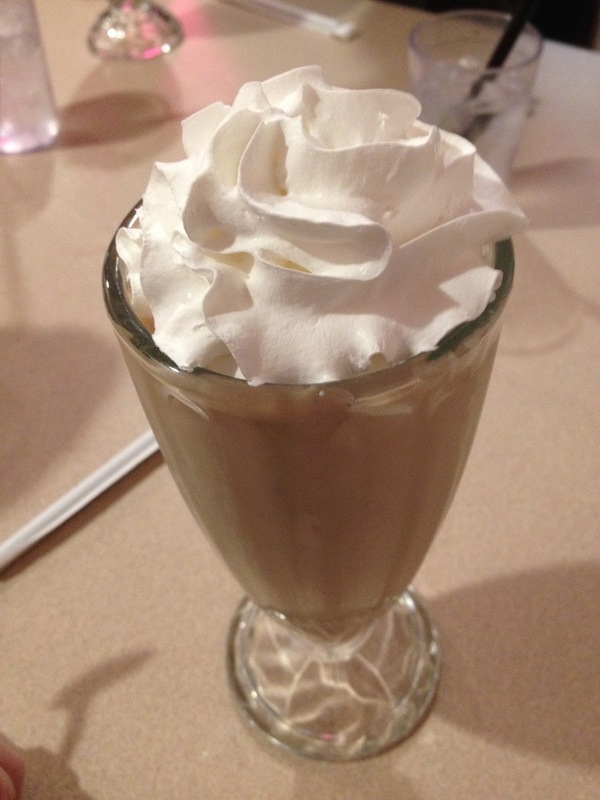 There are shakes and malts that are pretty awesome. 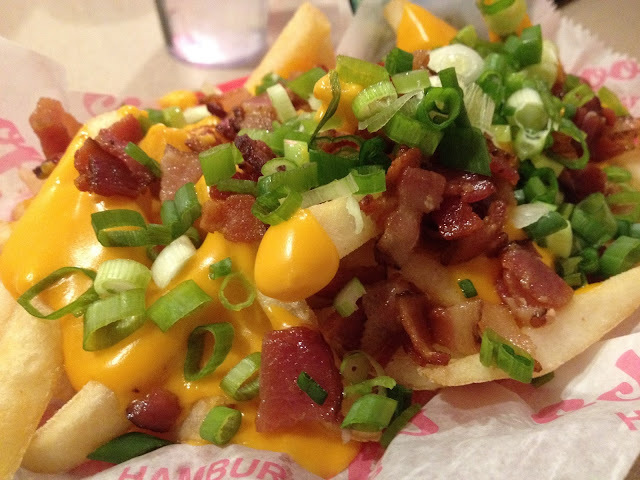 My son like the Irish Nachos - french fries with cheddar cheese sauce, bacon and green onion. For me, it's a basic cheeseburger. Their patties are thin, but large and crispy around the edges. When you say you want everything, that's ketchup, relish and onion. Then you can add on tomato, lettuce. Just good old-fashioned, greasy diner food that you can enjoy while listening to the victory song of the 1985 Chicago Bears. The chain dates back to 1948 are now 19 locations in Illinois and Indiana. For more info, visit www.schoophamburgers.com.